Supervisory solution for managing tube clearing during boiler startups. 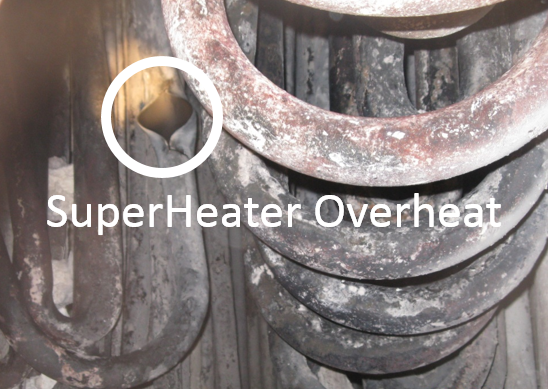 The SuperHeater Overheat Protection (SHOP) system is a proprietary technology that helps mitigate the risk of superheater tube failure due to short-term overheat during boiler start-ups. 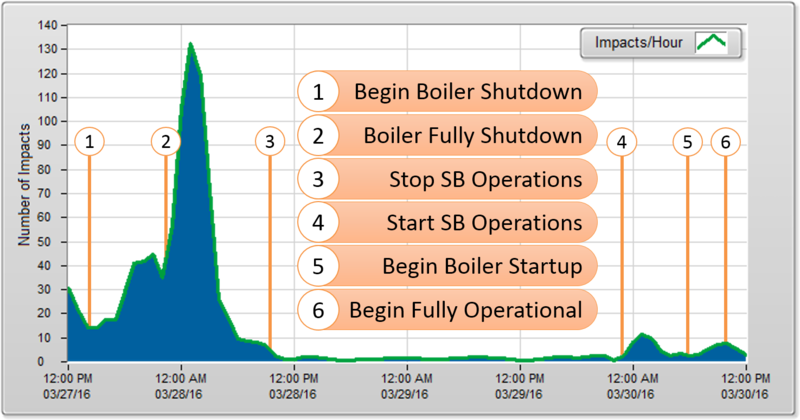 SHOP assists operators in the management of boiler start-ups by enabling the detection of superheater tube clear events (TCE’s). Thin-lipped bursts in superheater tubes occur when steam flow is insufficient, when deposits restrict flow, or when tubes are blocked by water due to a rapid firing rate during boiler start-up. Superheater tube failure has a significant negative impact on unit safety as there is a risk of these failures creating a critical exposure due to secondary failure of screen and water wall tubes. Superheater tube failure during startup can cost in excess of $500k in lost production. International Paper and ITM presented their patented SuperHeater Overheat Protection (SHOP) technology at the International Chemical Recovery Conference (ICRC – 2017) in Halifax, Nova Scotia on May 24th. During this presentation, Dr. Andrew Jones and Tim Carlier discussed how to avoid short term overheat failures of recovery boiler superheater tubes. Their presentation and white paper submitted to the ICRC committee are linked below.